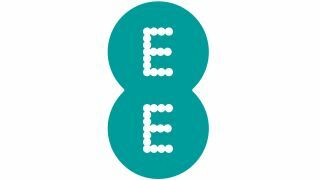 Everything Everywhere has renamed itself EE as it launches a whole new brand and 4G network around the name. In a bid to make the company easier to digest for consumers, EE will stand alongside Orange and T-Mobile, offering up the UK's first 4G network, while the two established networks will continue to focus on 3G tariffs. Customers currently on T-Mobile or Orange will notice the network tag on their handsets will change to say EE in the coming weeks and months, with all devices receiving the new brand name before Christmas. As well as the 4G network, EE will also offer fibre broadband, sporting speeds 10 times faster than the average broadband speed currently found in the UK. This makes EE the first company to offer a super-fast 4G network and fibre broadband, which puts it in a powerful position over the likes of O2, Three, Vodafone and even other internet providers such as TalkTalk and BT. This announcement will not have gone down well with EE's network rivals, who put up strong opposition to Ofcom's decision to allow Everything Everywhere to launch its 4G network early, ahead of its competitors. There's currently no firm 4G network release date, but EE say it will be available before the end of the year, and our money is on October/November. EE also hinted that the iPhone 5 is all set to get 4G. Speaking at the press conference in London, with Techradar in attendance, EE CEO Olaf Swantee, hinted: We'll be offering handsets from Samsung, HTC and Huawei and... one more thing... other firms soon." One more thing, eh? We think you can read between the lines.